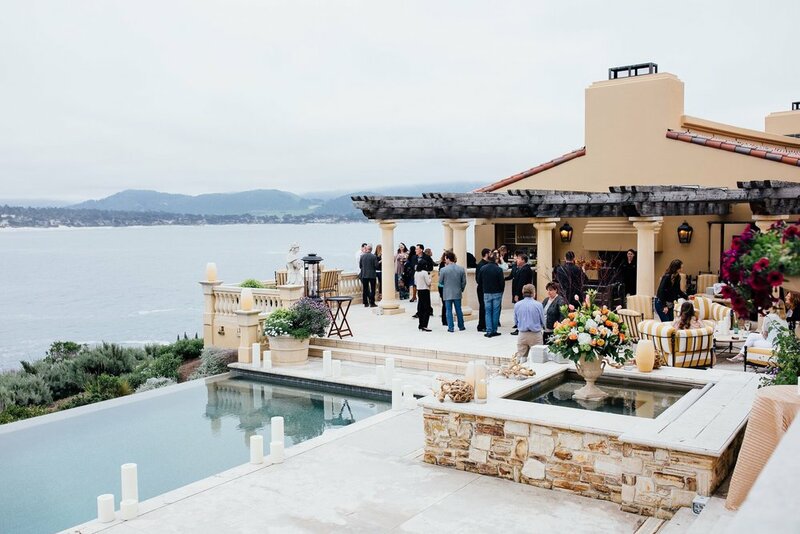 Paradise Catering is a full­-service catering company serving the Monterey, Carmel + Big Sur areas. We offer several varieties of service including the Live Grill, our version of a buffet with food being served hot and fresh straight from the grill, Family Style, where tables are served platters of each dish to pass among themselves, and traditional plated meals where each guest chooses their menu ahead of time. As a full-­service catering company, we not only take care of your food needs, but we provide staffing, and dining services as well. All catering packages include use of our glassware, flatware, plates, servingware, and barware. There is no corkage fee, cake cutting fee or hidden charges. You won’t need to worry about additional costs for rentals (such as building out a kitchen, or tabletop goods) since we own all of our own wares. Our goal is to offer straight­forward pricing to make the planning process as simple as possible for you. Aside from weddings we also cater social events, corporate parties, rehearsal dinners, brunches, and much more!